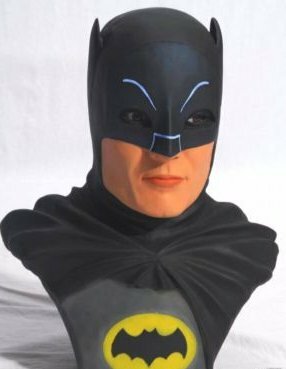 Batman Adam West head bust. It is hollow cast resin and about 18" in height. Sculpted by Ramy Gendy of Saint production. 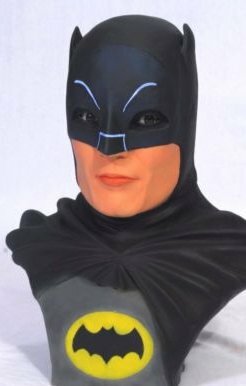 The statue is pro painted with realistic glass eyes.